Home Carolynne Fashion & Beauty Smashed It! 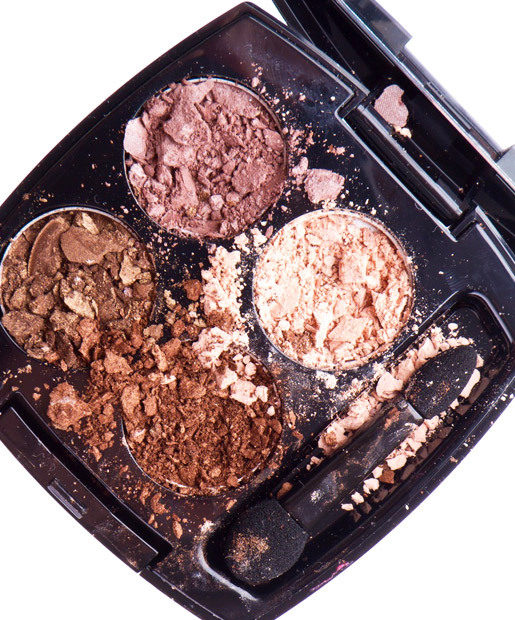 Makeup junkies generally shudder at the idea of a smashed-up palette, highlighter, or indeed any of their beauty treasure trove. Usually, products are cherished, cultivated into any collection with love, care, and passion. I was victim of an accidentally-smashed Jeffree Star Skin Frost highlighter once, (Peach Goddess, for anyone wondering) and ultimately sat down and cried for ten minutes during the aftermath. Why would anyone ever invest in makeup with the sole purpose of destroying it? Well, for views, apparently. Lesser known YouTuber Lauren Godwin recently divided the beauty community and its fans when she bought the highly sought after, ‘Unleash Your Inner Artist’ palette, created by James Charles and Morphe – only to completely destroy it. Watching the video for myself, I had to turn it off halfway through, unable to see such a wonderful palette being ruined in such a way. The backlash Godwin received was massive, even incurring the wrath of the palettes’ creator. Charles was clearly ‘Sister Shook’, immediately heading to Twitter to express his rage: ‘There are people who can’t afford the palette, can’t get it because it’s sold out, or who have been scammed by knockoffs… and she’s gonna buy one just to destroy for likes… on tiktok? This ain’t it sis’. In response, Godwin uploaded a video to address the controversy, stating that she did not destroy the palette to show any hatred toward Charles, but because she knew she would attract a huge reaction due to the popularity of the product. In turn, Charles decided to take back his comments due to the hate he was seeing Godwin receive online, issuing her an apology. Charles explained that it hurt to see something he worked so hard on being destroyed, but ‘it wasn’t that deep’ and ‘she bought it and can do as she pleases’. He also went on to say that the hate comments Godwin was being a target to was never okay, which seemed the settle the matter between the pair completely. But as you may well know, the beauty community isn’t the beauty community without a little drama. 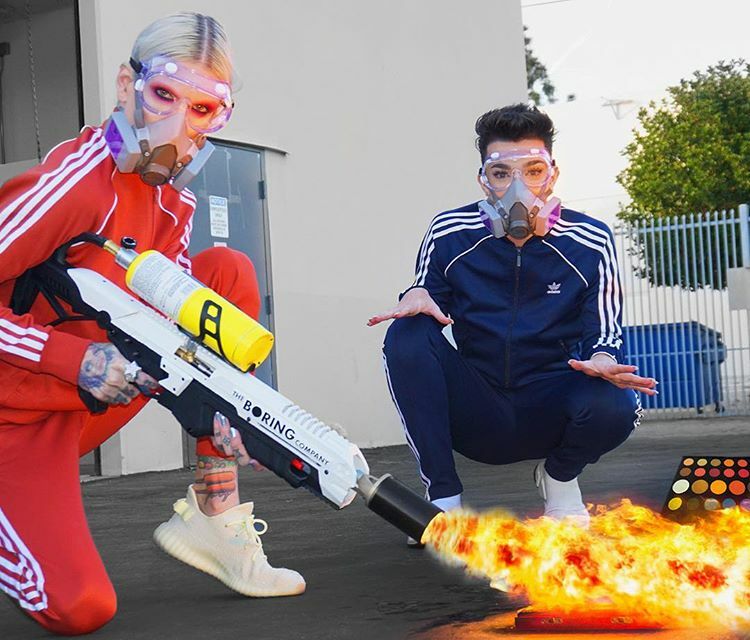 To happily and cathartically welcome in the new year, Jeffree Star collaborated with Sister James to create new YouTube content of them both destroying makeup they didn’t personally enjoy throughout 2018. This was obviously carried out with classic vivaciousness and extra-ness from the beauty stars, going to the extreme with the use of personally-made flamethrowers and sledgehammers. People were quick to turn around and point out the hypocrisy of this, as Charles didn’t exactly enjoy Godwin smashing his palette. However, Charles had apologised, and even dedicated the destruction to Godwin at the start of the video. Star also issued a disclaimer at the beginning of the clip, discussing his donations of makeup to women’s shelters, with both him and Charles pledging $25,000 each to women’s shelters in the Los Angeles area. This placed a rather wholesome twist on what could have been two rich influencers destroying makeup just for the hell of it, now turned it into an event that gave back to others instead. I didn’t cringe away from makeup being attacked in this video, as Charles and Star went through each item and describe why they didn’t like it – whether it was that the formula was terrible, or the company that created them was less than loved. Methodically working their way through the items, products burned and destroyed included the likes of the infamous Crayola makeup collection released earlier in the year, Victoria’s Secret lip glosses to put across their stand against transphobia the company had previously flaunted, and a Kat Von D bronzer, because as Jeffree Star says: “in 2019, we’re vaccinating our kids”. Not being wholly satisfied by simply just burning things they hated, the double act went on to destroy yet another James Charles X Morphe palette, in addition to a Jeffree Star Blood Sugar palette. A Chanel bag was also thrown in amongst carnage, ending up as a burnt-out husk by the end of the video. Whilst some viewers were left to revel in this type of entertainment, it is understandable why so many others were left upset. It is rather unpleasant to watch such expensive items that many can only aspire to own, never mind be destroyed for no good reason other than privilege. Chanel bags alone cost upwards of £1,000, even for the smallest size, so for one to be burned by an equally expensive flamethrower is something of a slap in the face for people who work exceptionally hard for their designer products. The #ALIEN palette and the entire @jeffreestarcosmetics holiday collection has just been revealed on my channel!!! 👽💚 click the link in my bio!!!! Although such actions may lead to question the great exposure these stars are given, personally I think the disclaimer and donations to charity have cleared these issues up in this instance. It is always satisfying to see things destroyed, cut up, smashed – think of all those soap cutting videos dominating Instagram. 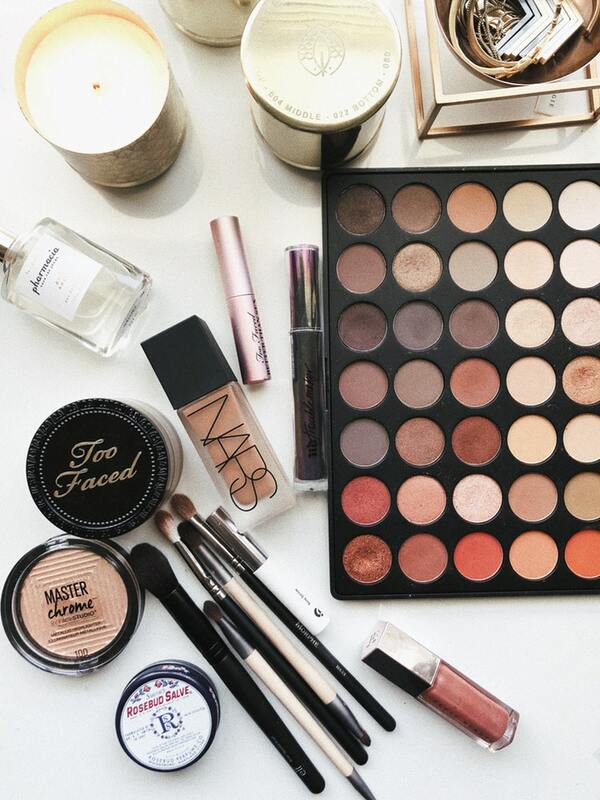 So why should makeup be treated any different? 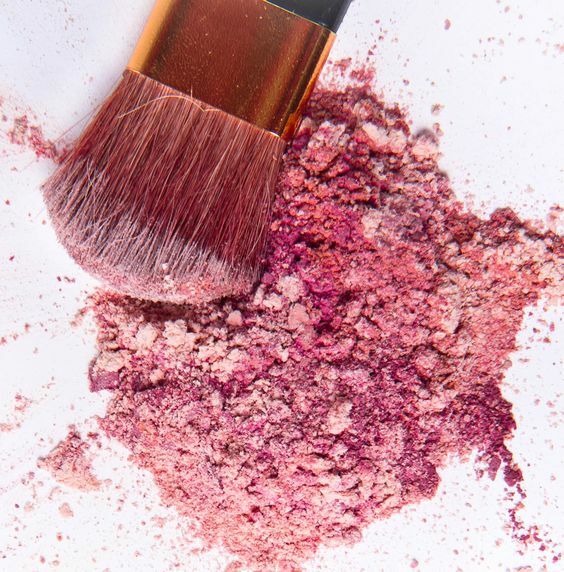 Captured footage can be found across all social media platforms demonstrating the destruction of makeup: compacts being crushed and lipsticks being melted – all receiving thousands of views. The Blendtec’s Will It Blend? Channel regularly uploads material of iPhones and the Amazon Echo dying a death using the classic kitchen appliance, and yet nobody turns around and accuses them of doing it to spite those who can’t afford them. So why should it be any different when two prolific beauty influencers do the same? Countless amounts of us love to hate on major celebrities, no matter what they do. Having been at the epicentre of numerous scandals in the past, Star and Charles have become rather easy targets for hate and controversy. No matter how they behave, drama seems to shadow them wherever they go – unable to escape people attacking them for everything they do. Perhaps it’s time for us to stop taking everything so seriously. James Charles and Jeffree Star did not go out of their way to vindictively smash all that expensive makeup with a motive of rubbing it in the faces of those who cannot afford it, or to be hypocrites for that matter. Their reasoning was to create something fun that hasn’t been so often done before. The negative backlash as a result does just goes to show that even with a joint donation of $50,000 to charities, the duo will remain to be Sister Slated.